Early in 1955 a group of Catholic women in Aurora (twelve women from the newly organized Mission Group in Aurora, three of them, Helen Truce Baran, Mary Nelis, and Stella Shaw,) were in the process of organizing a mission guild. During their discussions, they considered the possibility of having Mass each Sunday here in Aurora. Representatives went to see Fr John Laveile, pastor of St Joseph's in Mantua. Fr. Laveile suggested that they contact Mr James Quinn, the owner of the Aurora Inn, to inquire if Mass could be offered there each Sunday. 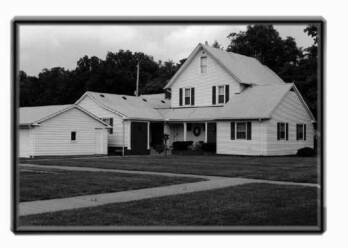 Arrangements were made and the Mission Church in Aurora had its first Mass in the Inn on March 13, 1955. On July 8, 1955, the members of the Mission Church purchased its present property, some 13 acres with a house and a barn from Gordon and Mary Patterson. As the congregation grew, the facilities became inadequate. In November 1957 an agreement was made with Msgr. Oldrich Mazenec, pastor of St Rita's in Solon, to purchase their church for $5,000. The moving of the church building was a spectacular event. Bishop Emmet M Walsh dedicated the Church under the title of Our Lady of Perpetual Help Parish, and the Mission Church moved to parish status on June 24,1960. The present church was completed, contemporary in design in 1974. The windows of clear glass allow God's own "stained glass" to shine forth. Today, the contemporary design facilitates the ongoing development of the congregation's worship and community. 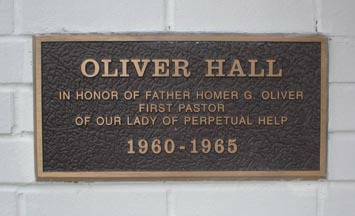 In 1992, the congregation once again undertook a construction project in designing and building the Parish Center. The Parish Center has become a familiar space for parish and community events. 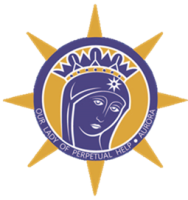 Throughout its history, Our Lady of Perpetual Help has been a beacon of hope, a center for community building and a steward of the many gifts God has so graciously given to the members of the Catholic faith community in Aurora. 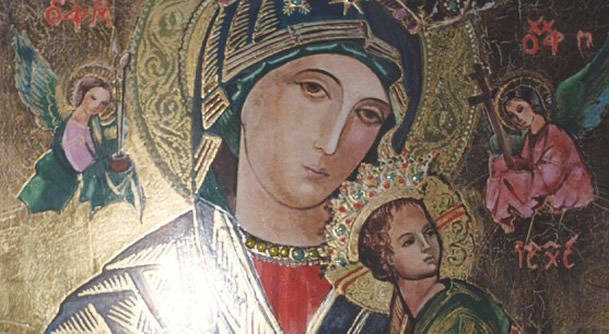 The history of the icon of Our Lady (or Mother) of Perpetual Help includes providential protection and direction.